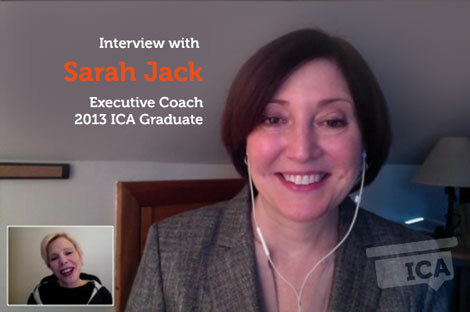 ICA Coach Sarah Jack has the unique perspective of an executive who has experienced many of the challenges facing leaders today, combined with graduate and post-graduate studies in behavioral change and motivation. Merci: Hi, I’m Merci Miglino, and welcome to another Day in the Life of a Coach. I’m here with Sarah Jack, an ICA graduate which earn a credential of ACC from the ICF. And she lives really close to me, welcome, Sarah. Sarah: Hi, Merci, it’s great to be here. Merci: Wow. I met Sarah twice, not just once which is great. In ICA, we don’t know whose get the opportunity to meet her students and grads. 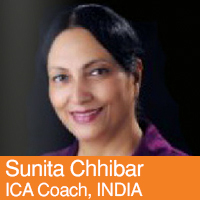 And I learned a lot about her, first of all, she has an exactly the background, she does executive coaching now. She has a really interesting background in change, in motivation. So tell us, Sarah, how you came to be a coach? Sarah: Well, I think the other students from ICA say this but there is something about us that I think we all probably been coaching all of our lives. And I have always been interested in what makes people improves themselves, improves their lives, make them happier, make them more successful. And I really wanted to do that, so that’s what brought me to coaching. Merci: Okay. So what did you do before coaching? Our students sometimes have the most interesting backgrounds and I just love to ask that question. Sarah: Yes. So I spent over 20 years in the magazine publishing business and worked for one of the biggest publishers in the United States, and it was really, really fabulous, I was surrounded by smart, creative people. And so the interesting thing is throughout that entire time, what I was doing at work was really often helping the people around me get out of their own way, become unstuck, and I would do that for myself too. So I just always sort of been on this coaching path. Merci: Yeah, sounds very exciting. 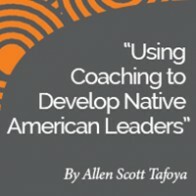 So now, what is your coaching niche, what are you doing now? 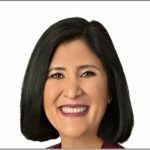 Sarah: I’m an executive coach, so we worked with the senior real estate executives in the company or live life of our managers, just about bringing out the leadership in every single one of us. We all have it, and so it’s really about increasing that awareness, getting people focused and motivated and achieving what they need to achieve. 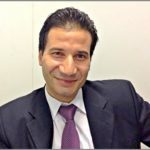 Merci: [agrees] so what’s the biggest challenge in executive coaching if anything? Sarah: You know, the very first part of raising people’s awareness, whether that’s using feedback instruments, you know, 360 reviews or some sort of other survey, or just the observations of the coach, that can —- that can be a struggle for some people, it sometimes is very uncomfortable. Merci: Yes, yeah, it pays off. Merci: Okay. Great. So at ICA, we do couple of assessments, we create our own coaching model, we create a power tool, and we do some research. So tell us a little bit about what yours looked like. Sarah: …it was very really important informing my own coaching approach. Merci: Yes, the process, how interesting, you know, I don’t know, I was thinking that, you know, when you think of assessment sometimes, and something you have to do. Merci: And incomplete and there’s always a deadline. But the process of learning, you know,, I think that’s, you know, what makes a great coach, so good for you if you’re enjoying the process. 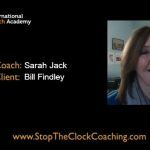 So my final question, Sarah, has to do with —- if you could tell the world one thing about coaching, what would it be? Sarah: Well, number one includes done right, if the coach is really sticking to the fundamentals of coaching, coaching really works. Sarah: So if the coach is doing what the coach is supposed to do and we, coachee, is playing effort into it, I mean, that’s what happened, it’s a really, really effective way of improving whatever it is we’re trying to improve. And I am a huge believer, I just think it’s a really, really great way to push yourselves forward. Merci: Yeah. Wow, that’s beautiful. You know, it’s finding something that’s striking me the day, we often think we come to coaching sometimes as a second career. And we might imagine that everything up to that point is not useful. But what I heard throughout your answers is that everything we are, executive, working in a magazine, running an ICF chapter in New Jersey, being part of the, you know, direction in that —- in that area, all come to bear in the coaching relationship, it’s very interesting. Merci: Yeah, yeah, great. Well, thanks for spending some time with us today, Sarah. 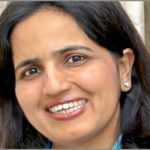 As a 19-year veteran of marketing for such magazine as Time Inc. and People, ICA Coach Sarah Jack leverages her understanding of leadership development at global coaching firm COACH A, which serves clients in more than 2,000 corporations worldwide.